Did you know that the Great Basin hosts some of the darkest night skies in the contiguous United States? Not only is the night-sky dark, but it is stable, making it an excellent location for an optical astronomical observatory. Conceived by a park ranger and brought to fruition by the Great Basin National Park Foundation, the Great Basin Observatory (GBO) is the first ever research grade observatory built in a U.S. national park, and was opened to coincide with the 100th anniversary celebration of the National Park Service. 3) preserve and utilize the spectacular dark night sky of Great Basin National Park. Although the GBO resides within the park’s boundaries, it is remotely operated and controlled, being accessed from desktop computers anywhere in the world. The GBO has created opportunities for college students, researchers, K-12 students, and the public to engage in scientific study, gain understanding into the complexity and scale of the cosmos, and inspire the scientists and conservationists of tomorrow. The GBO was constructed entirely through the generous support of foundations, individuals, and partners like you. 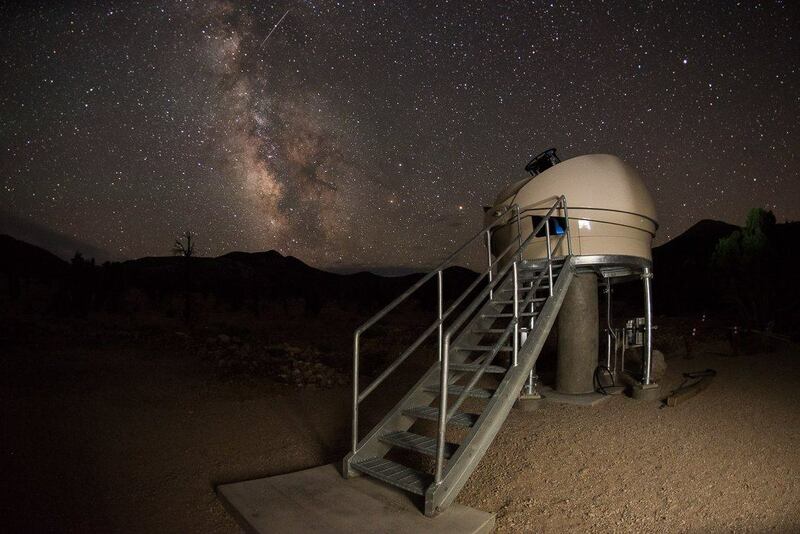 Visit the Great Basin Observatory web portal for a virtual tour, research updates, and to learn more about our Education and Outreach initiative, Reach for the Stars.